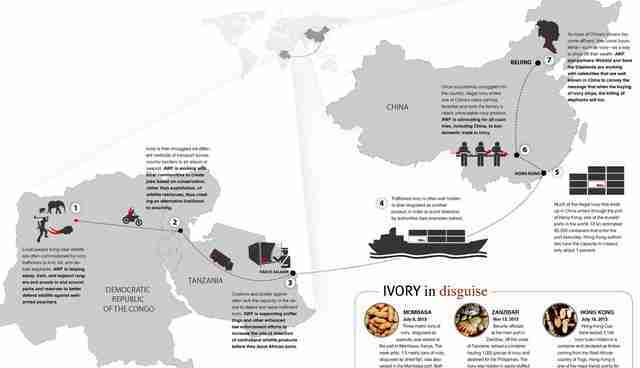 Ivory taken from an elephant in Africa travels along an elaborate trade chain that spans countries, oceans, and continents-and comprises a network of poachers traffickers, fixers, kingpins, and consumers. 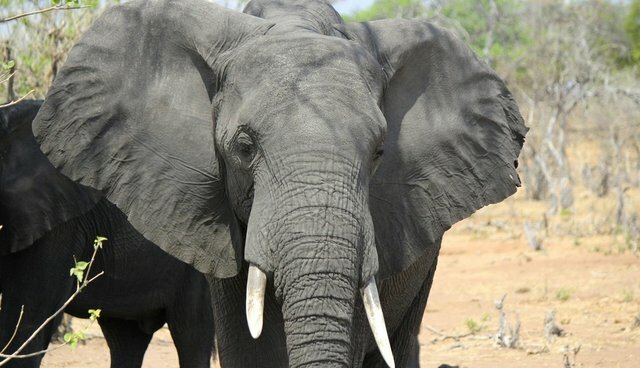 Tackling this multibillion-dollar illegal wildlife trade will require interagency cooperation within government, strengthened law enforcement, punitive legislation, increased education, and a commitment by governments, non-governmental organizations, the private sector, communities, and individuals to work together. Following is an example of how ivory might be taken from the African bush and transported thousands of miles to be sold to consumers in Asia. For more information check out the African Wildlife Foundation .